is finally home. On November 19, the revolutionary ship arrived at Port Everglades, FL after 15 days of crossing the Atlantic. Celebrity Cruises’ newbuild arrived at the newest Terminal 25 that was constructed especially for Celebrity Edge. So November 19 also became the day of the official opening of the innovative T25. And just today, on November 21, the liner begins her exciting Caribbean adventures: Celebrity Edge takes her guests to Nassau, Bahamas. 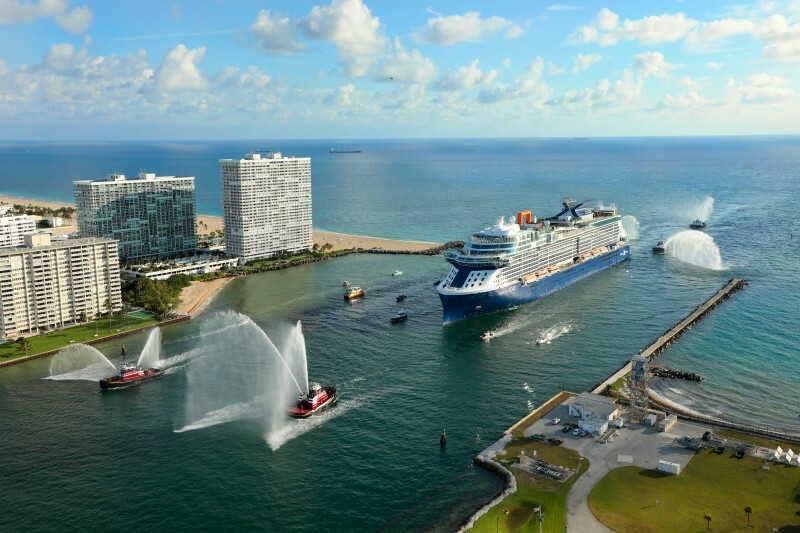 Let’s check an exciting video of her arrival at Port Everglades shared by Celebrity Cruises. It looks impressive, doesn’t it? What do you think about the Celebrity’s latest addition? Would you like to sail on her? Please share your thoughts in the comments.